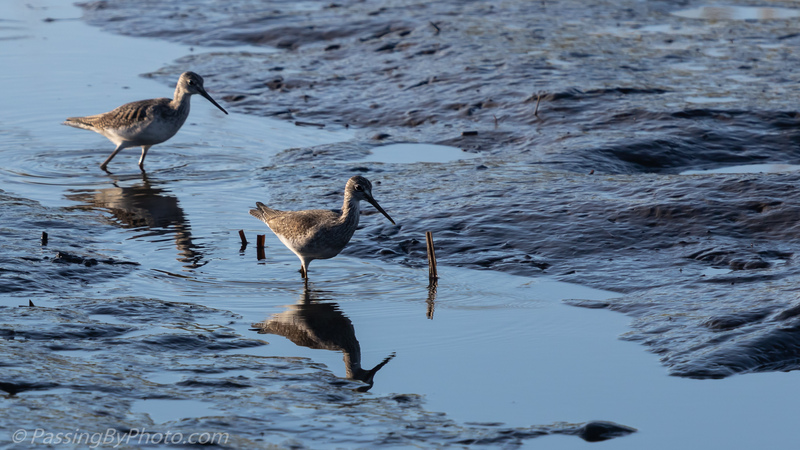 This pair of shore birds, probably Lesser Yellowlegs, worked their way up a marsh inlet as the tide was going out, probing for breakfast. 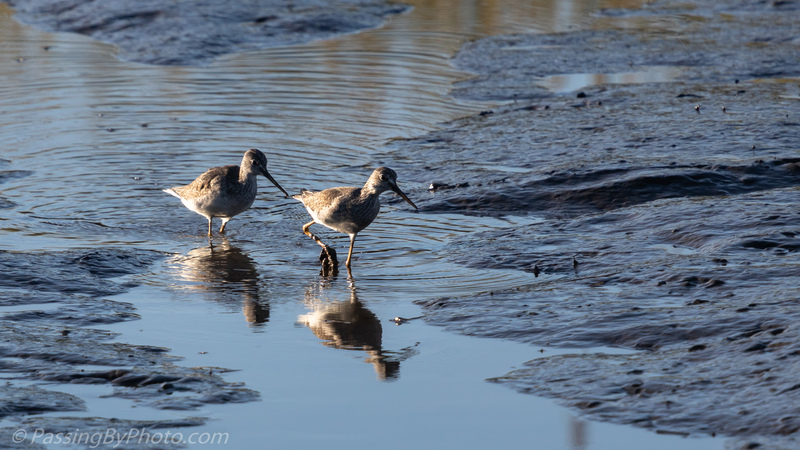 Other Yellowlegs that I have seen actually have obvious yellow legs. 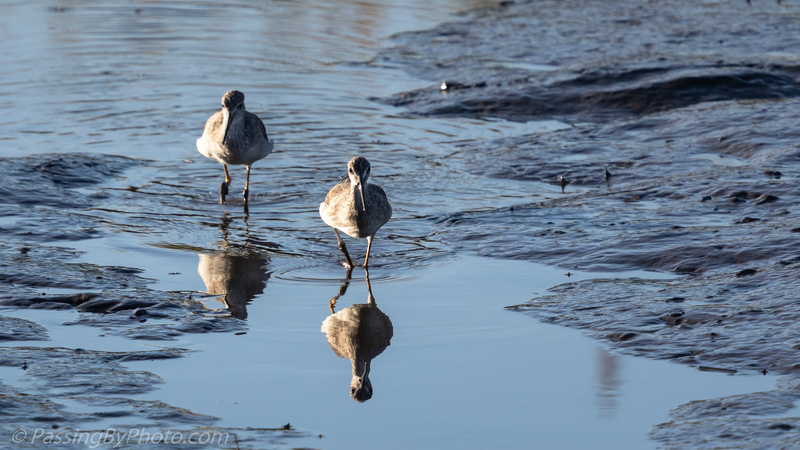 I’m not sure if this pair is just too muddy to tell for sure or if it’s their age. Or they are a different bird. 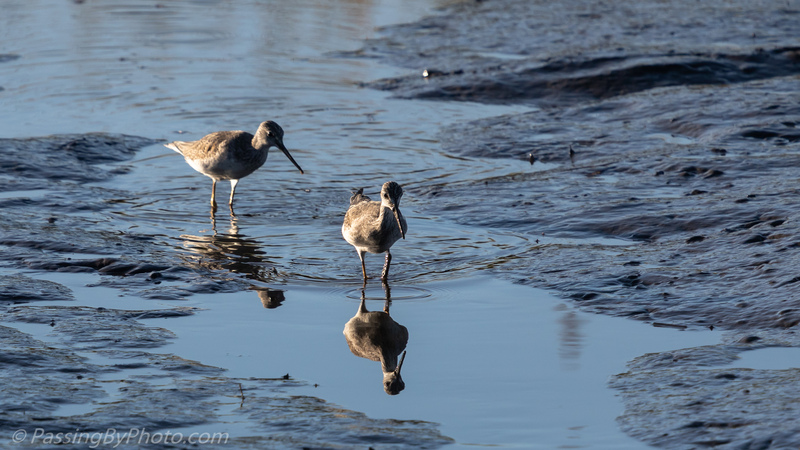 The Merlin identification app also suggested they might be Long-billed Dowitchers. They didn’t find much sustenance when I was watching, but they were pretty in the morning sun. 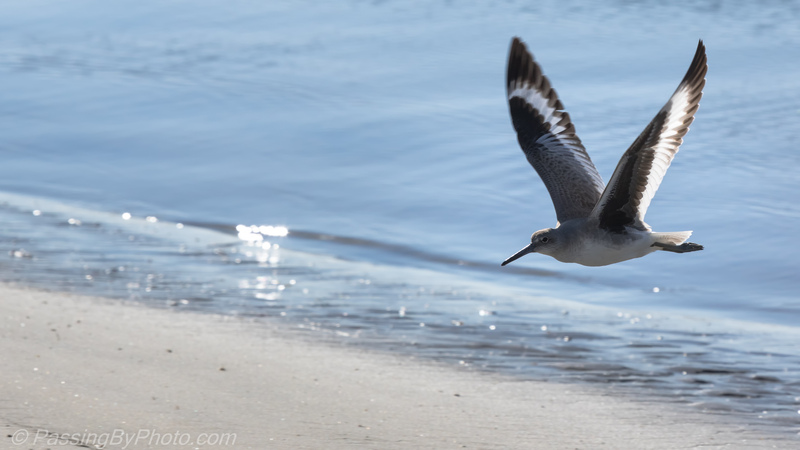 Willits are one of the shorebirds that poke around at the edge of the shore or at the edges of small ponds and inlets along the ocean. They look pretty drab until they take flight. 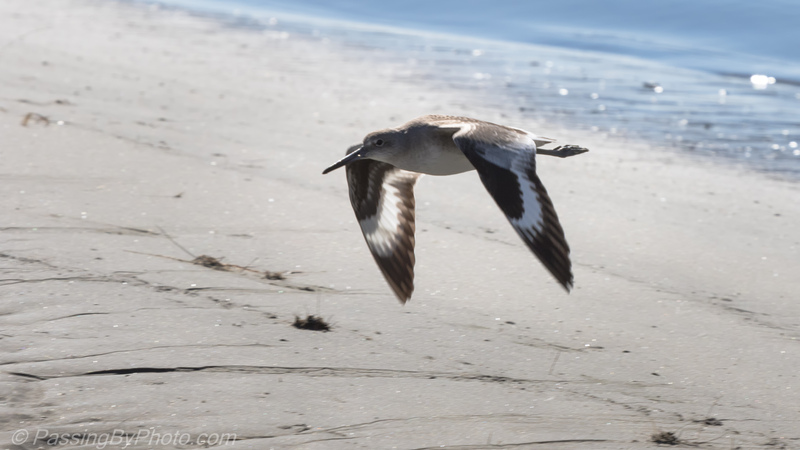 The distinguished white and black stripes that show on their wings set them apart from the Dowitchers and Yellowlegs. 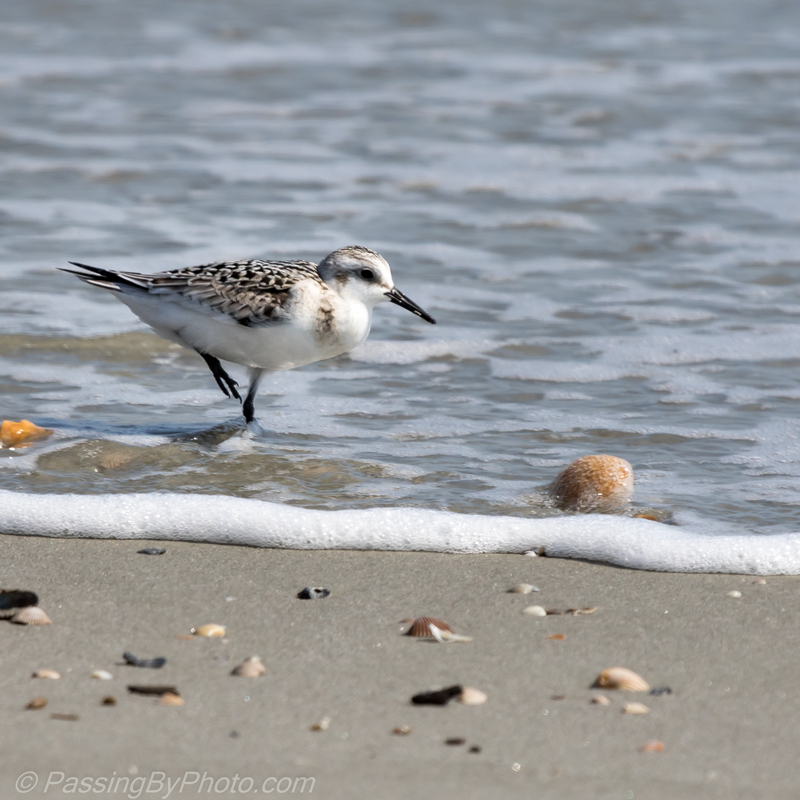 This one came to shore where I was waiting for Dolphins and headed for a pool left on the beach by the falling tide. 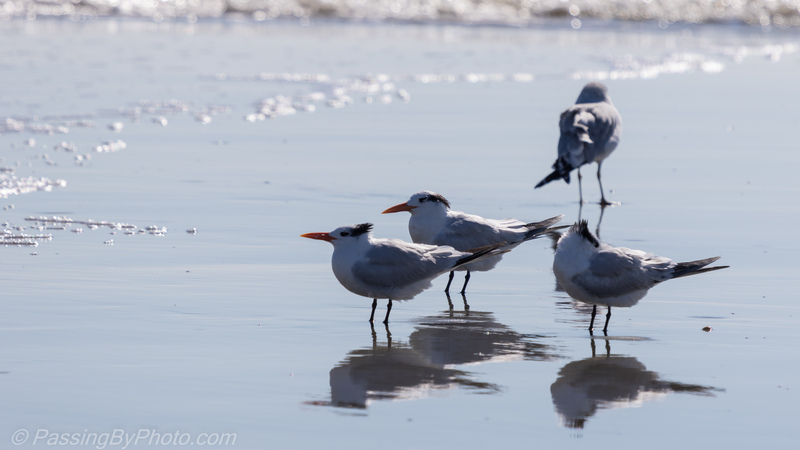 These Royal Terns were on the edge of the Black Skimmer flock we watched on Wednesday, also on a stopover on their migration I think. 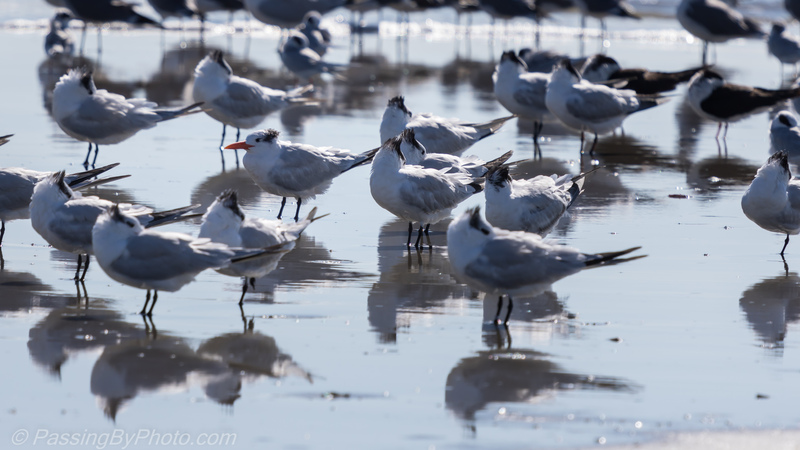 Once they were on the sand bar they stayed huddled in their own group, the wind blowing their top knots around. 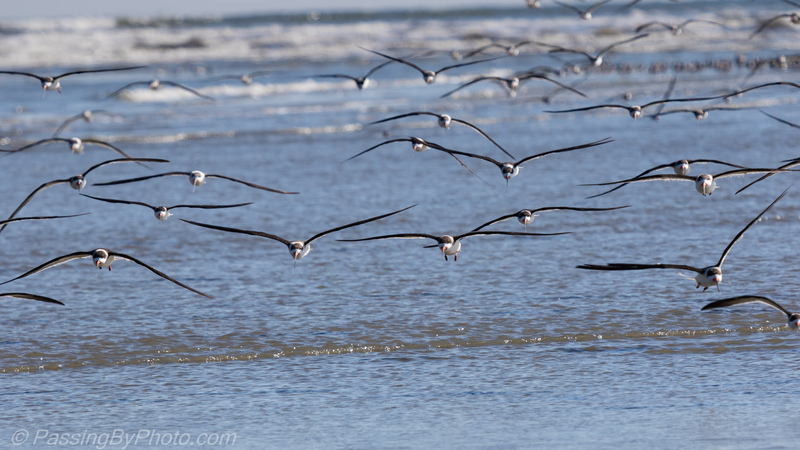 Black Skimmers by the hundreds flew down the beach and landed on a sand bar exposed by the low tide. 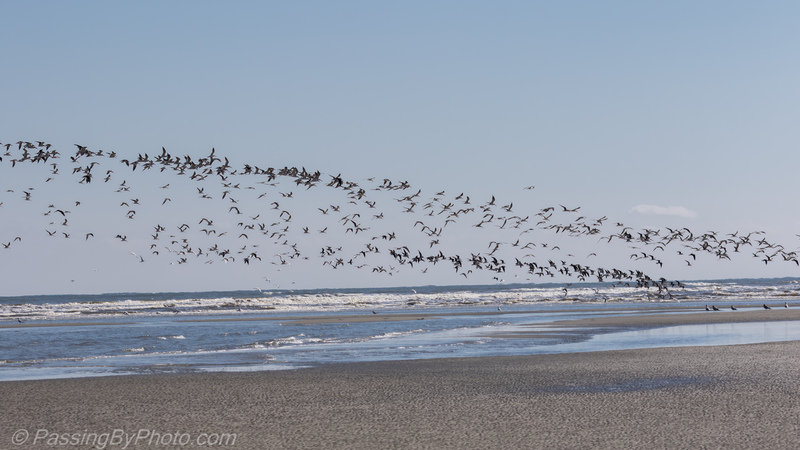 There were so many birds it was hard to chose where to photograph. As the tide covered their original landing place they lifted off in groups and circled around to another appealing spot. 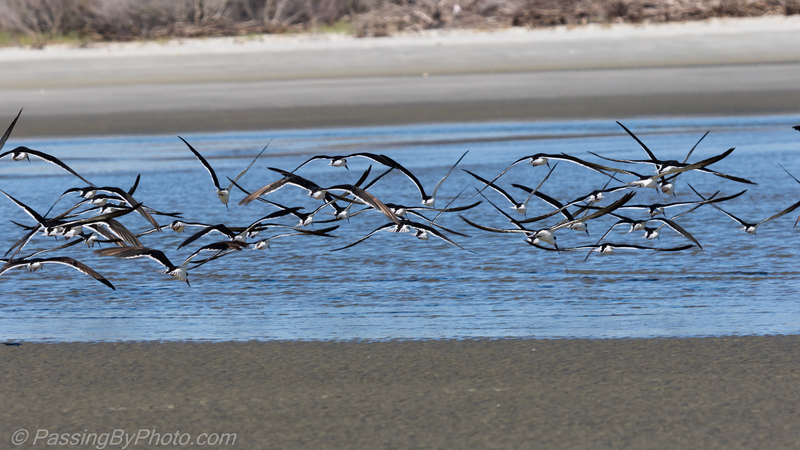 Black Skimmer Flock Coming at me. We had the good fortune to watch this for over an hour until we were driven out by the incoming tide. 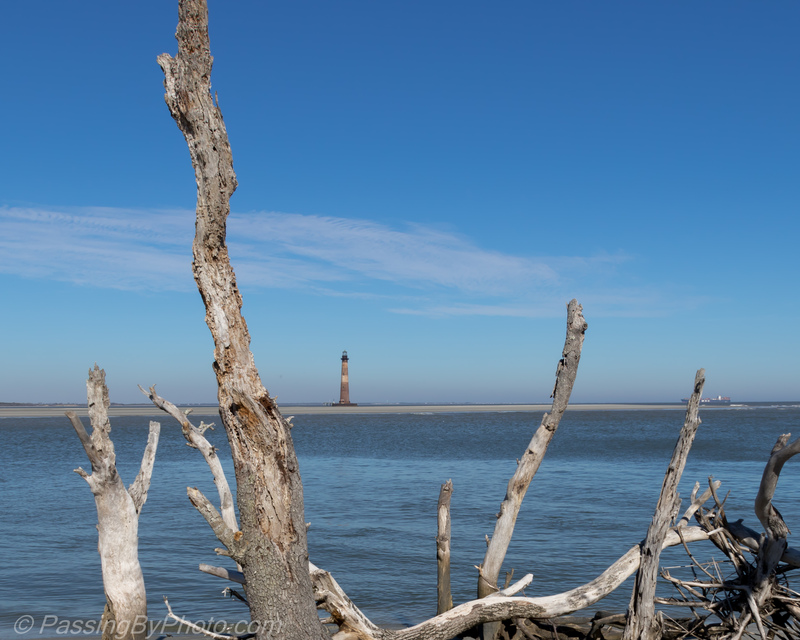 This was a quiet January day at the north end of Folly Island, without even a gull in sight. This pile of driftwood marks the spot where high tide can trap you on the beach if you aren’t watchful. This listing light, decommissioned in 1962, guided ships near Charleston Harbor. Once on shore, shifting sands have resulted in the light now being off shore, surrounded by sand bars. All remnants of the accompanying housing complex are long gone. This small jetty helped create the splash and served as a seat while waiting for just the right combination of waves and wildlife to come into view. 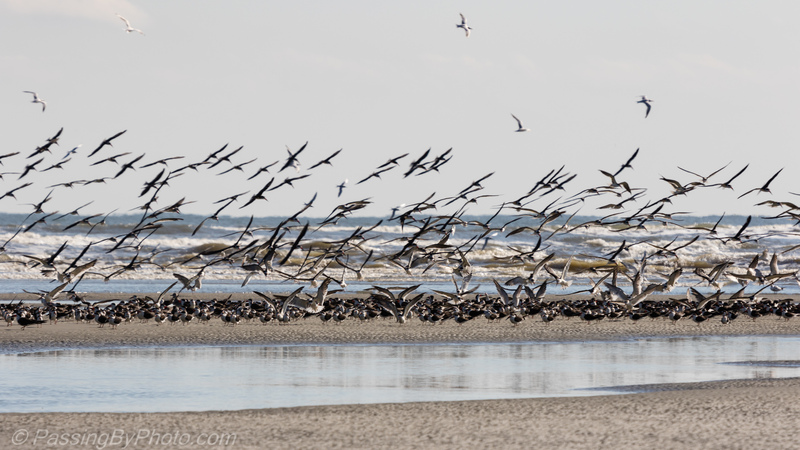 On this day Pelicans, Gulls and Dolphins were all possibilities to be included in the shot. I need to go back and try again. 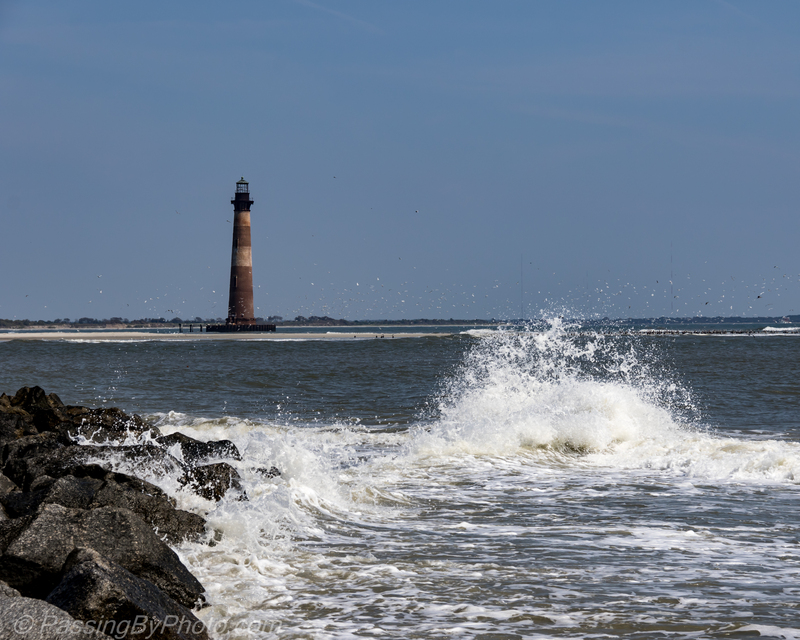 Morris Island Light as viewed from Lighthouse Inlet Heritage Preserve at the northeastern tip of Folly Island, SC. 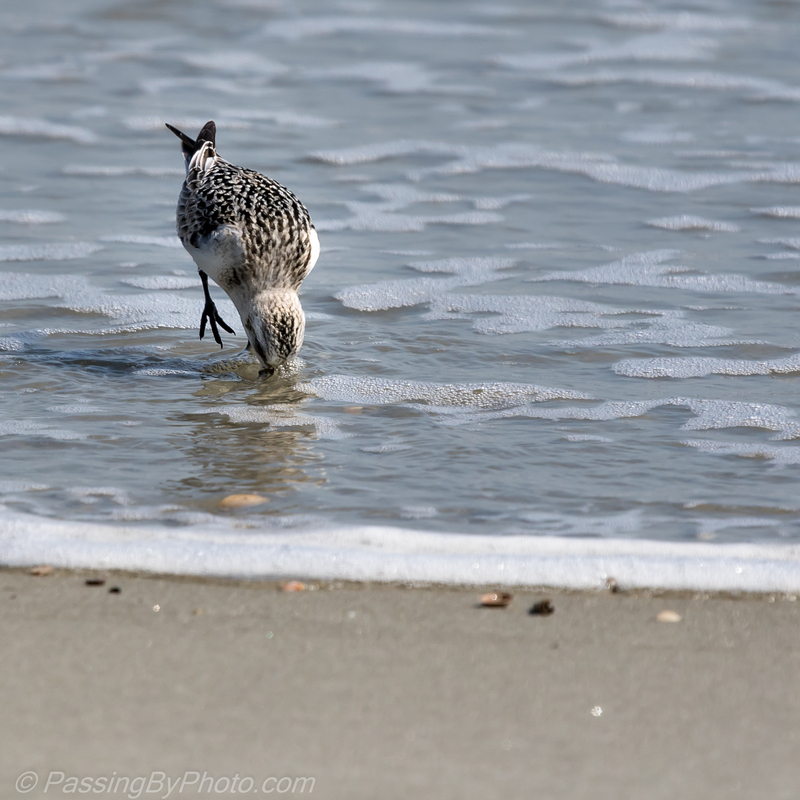 As the waves rushed in it seemed this sandpiper didn’t want to get his feet wet. 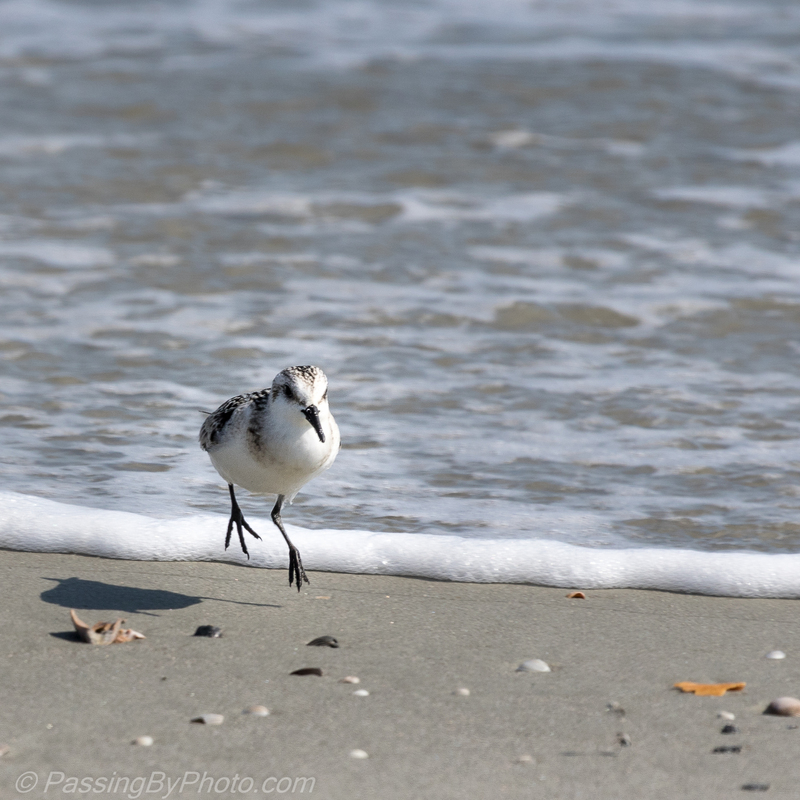 Even while probing the sand for food he balanced on one foot. 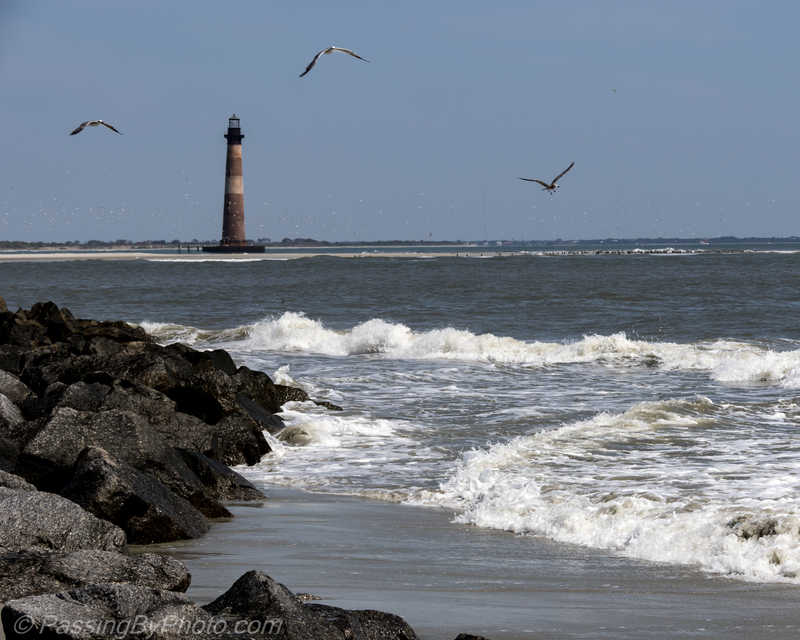 Lighthouse Inlet Heritage Preserve, Folly Island, South Carolina. 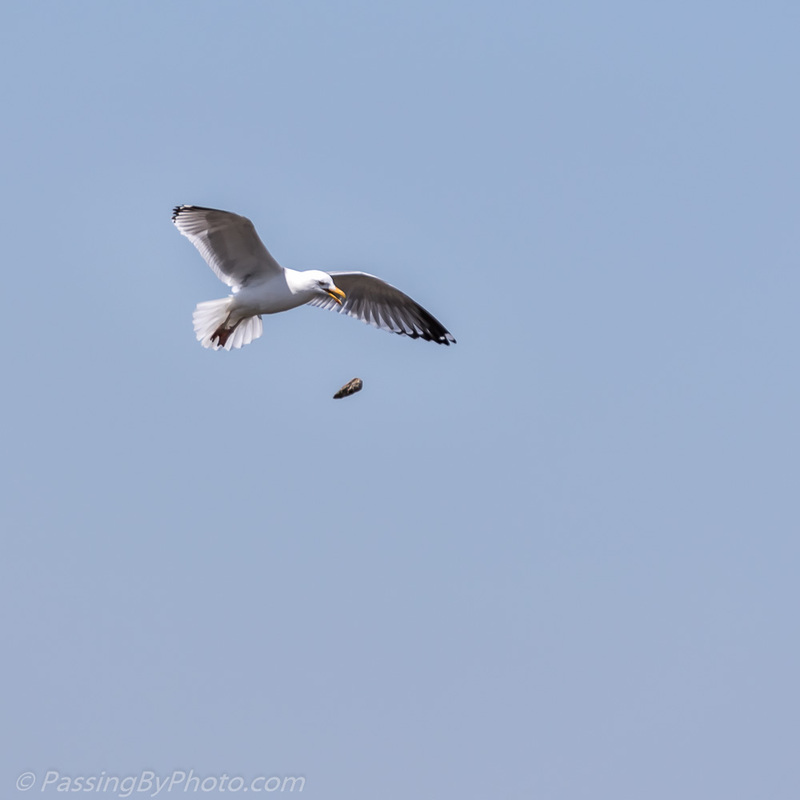 Elegant flyers, gulls winged up into the blue sky with a clams and other treasures pulled from the surf at Long Beach in Stratford. Then chase it to the ground hoping to be the one to retrieve the released lunch. 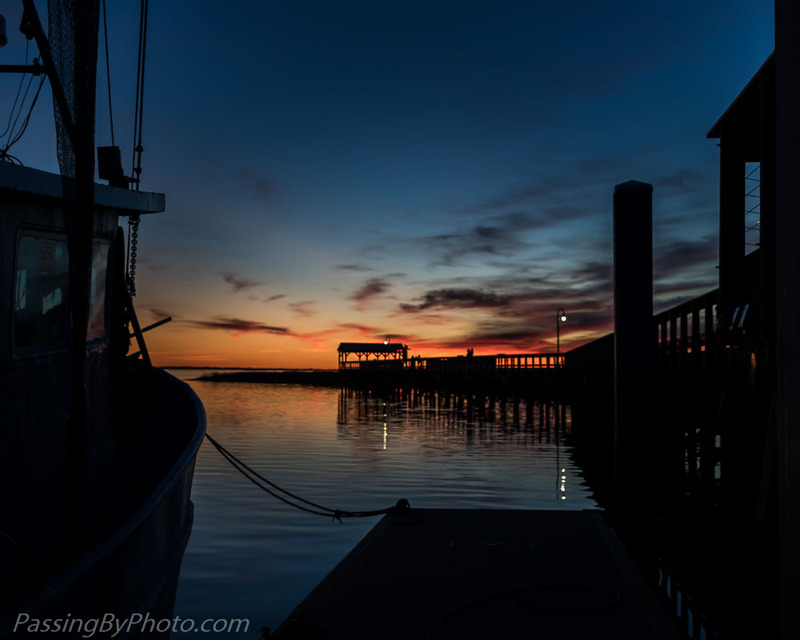 The sun was going down and the tide going out. This Great Blue Heron was looking for a spot to settle. Looking out Shem Creek, Mount Pleasant, SC. 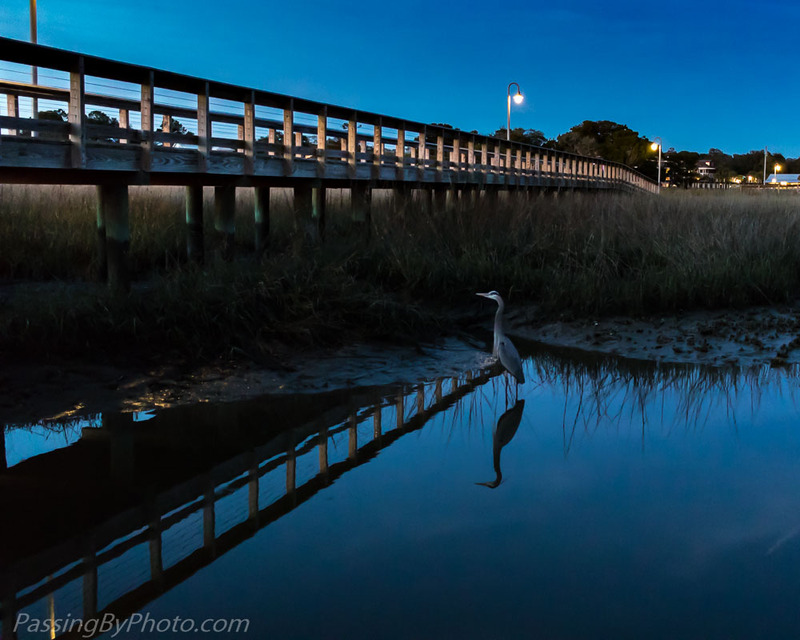 The majestic Great Blue Heron surveys slowly and deliberately. 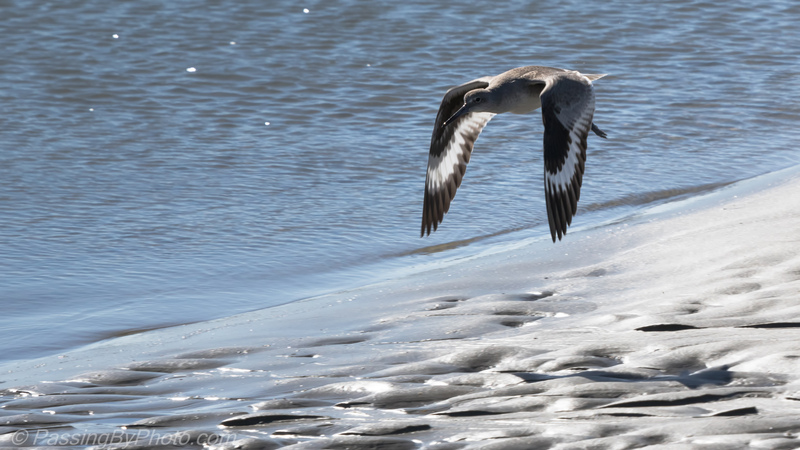 The bird above was squawking at a nearby Alligator at the edge of the Ashley River near Charleston, SC. 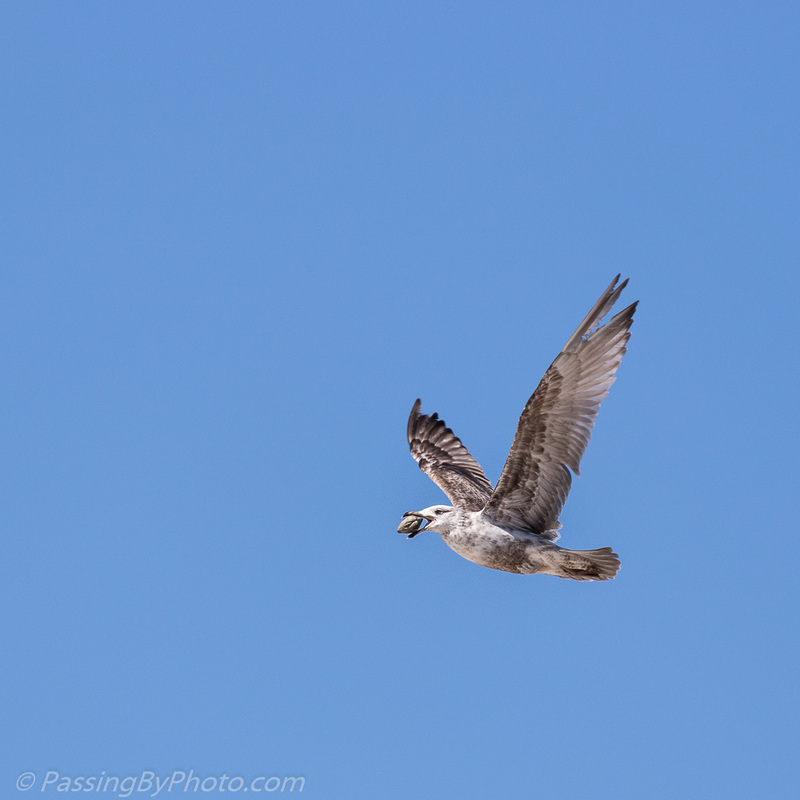 Eventually he lifted up and fluttered down in a new spot, showing off his massive wingspan. Back into the reeds, soaking up the sun.